Nottingham, Oxford, Lewisville, Kemblesville, and Landenberg areas, ranging from $189,900 to $625,000, as featured on realtor.com. 1. 12 Chisel Creek Drive, Landenberg($378,000) - Wonderful opportunity to own a large, four bedroom home located on Chisel Creek Golf Course. The home offers large bedrooms, spacious eat in kitchen and a totally finished basement with full bath and full kitchen. The house is over 4,000 square feet and offers an inviting floor plan. Enjoy watching the golfers tap in for par from your rear deck.This is Fannie Mae HomePath property. All offers to be submitted online to Homepath. First Look period applies in which only owner occupants may submit offers on this property for the first 20 days. Please check the DOM counter at homepath website. Please download offer instructions from Trend. Seller requests that offers are to be submitted using the homepath online offer system. Built in 2001, the home features a two-car garage. 2. 1 Windsor Court, Landenberg($474,750) - Presentation is everything, and with your first look at the exterior, you can expect that the inside will impress as well. From the slant of light streaming through enlarged windows, every area of the home sparkles - even brightening winter afternoons. The floor-plan of this almost-new Wilkinson home expands your living space for gatherings with friends and family. Every appointment has been upgraded, from hardwood floors, to custom window treatments, to lighting fixtures; granite, ceramic floors, and stainless in the kitchen; French doors, cherry hardwood floors, and cherry built-ins in the dining room/study; ceiling fans; bathrooms with custom tiles and upgraded fixtures; a soaking tub and customized built-ins in the walk-in closet of the large, main-BR; 11-ft. ceilings, and a finished basement that could double as a suite complete with a tiled full bathroom, extra lighting, and a walk-out entrance. The property boasts a chemical-free water filtration system, a reverse osmosis drinking-water system, $10,000 in improved landscaping and irrigation, as well as gutter guards. Even the two-car garage is over-sized, and best of all outside, you can enjoy the view of a nature preserve from your deck where you can dance from the light of the moon. And no one will ever notice. Built in 2012. 3. 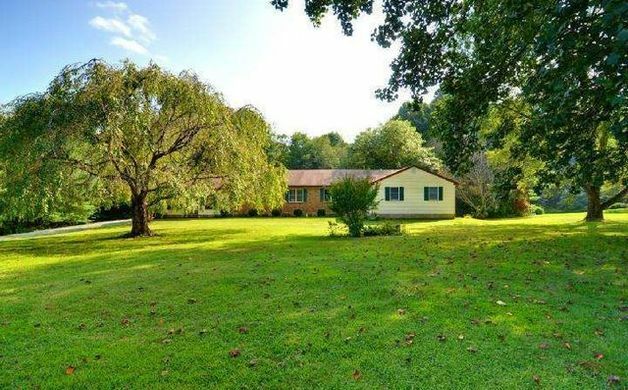 208 Reynard Drive, Landenberg ($279,900) - This sprawling ranch home on almost 3 acres rests on a scenic cul-de-sac lot nestled among mature trees, backs to woods and a tributary of the White Clay Watershed. If entertaining is something that you like to do, then you will love to call this place your new home. Features four bedrooms, two and a half baths and over 2,300 square feet of living space on the main floor. The country kitchen is spacious with lots of cabinets, counter space, a breakfast nook, a new stove, a built in kegerator, tile floors and more. The first floor has hardwood floors throughout except in the hallway and bedrooms. The living room and family rooms are both light and bright with fireplace and both open to a large 2-tier deck ready for your hot tub and an incredible back yard with a 20x40 Grecian Swift pool for you to enjoy your pool parties next summer. The backdrop of this lot is gorgeous and private, a true nature lover's paradise. The walk out basement offers an extra 2000 square feet for you to finish. A huge two-car garage with attic storage. The HVAC systems are both newer and very efficient heating system keeps those energy bills low. You may want to make a few cosmetic updates to make this home your own personal style but that's the fun in new homeownership. 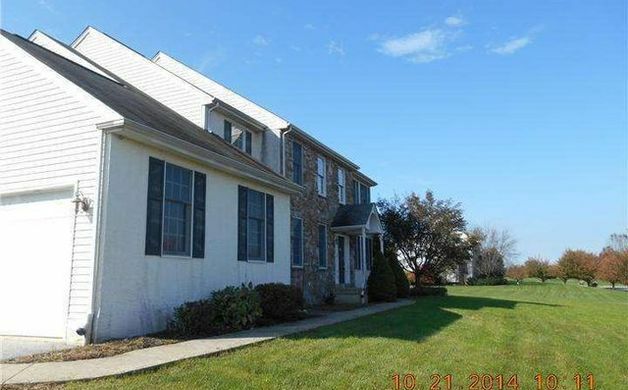 Located close to the DE line and located in award winning Avon Grove School District. New septic system to be installed. Built in 1986. 4. 108 Lavender Hill Lane, Landenberg($625,000) - Enter in to the open and expansive foyer, there you will find the living and dining room with hardwood floors , crown molding and chair rail and the 1st floor office. The conservatory and family room have a two sided fireplace and are perfect on cold winter nights or warm and sunny summer days. The gourmet kitchen is stunning with granite counters, tile backsplash, stainless appliances and a farmhouse sink. The second floor features a master suite that dreams are made of with its sitting room, walk in closet and beautiful bathroom with tile shower, soaking tub and granite double vanity. Three other bedrooms, two baths and a laundry room complete the second floor. Need more space? The unbelievable finished walkout basement has a bedroom, full bath, media area, and a fully equipped bar. The French doors lead to the covered paver patio by the fabulous pool. This home must be seen to be fully appreciated. Three sides of stucco have been replaced with hardy board and a new septic system has been installed. Built in 2005. 5. 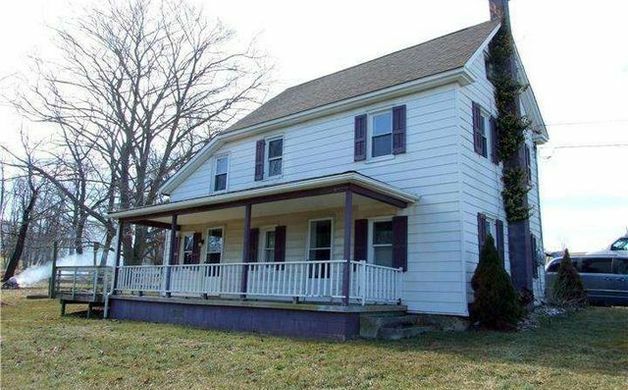 706 Lewisville Road, Oxford($189,900) - Enjoy the country living in this single two-story Colonial Farmhouse situated on 2.8 acres+/- of ground. Covered front and back porches. First floor has a Living room with brick fireplace, dining room, kitchen with access to back porch through double dutch door and a powder room. The second floor has three bedrooms and a full bath. 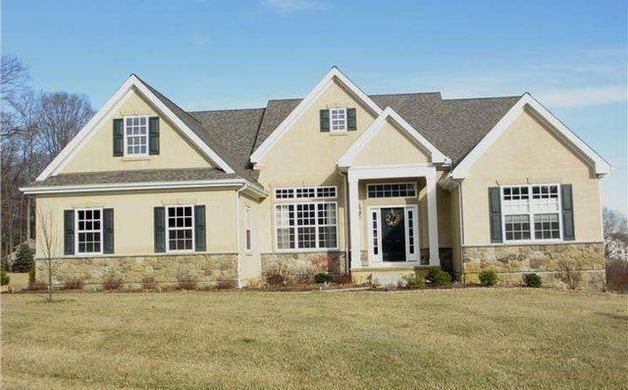 Nice setting in Elk Township with easy commute to MD and DE. Roof replaced Summer 2014. Built in 1890. 6. 811 Street Road, Oxford($415,000) - A superior home for a very special buyer situated on 2+ acres with meticulously maintained gardens, a gorgeous walkway, stone walls, and completely fenced rear yard. Pride of ownership, the highest attention to detail, and an exceptional blend of old and new, elevate this home to a level of elegance that is almost impossible to find. This 18th Century Stone Farmhouse has had many uses, including being a former bed and breakfast called the Lemon Tree Inn with restored tavern in the lower level; today it is a single family home for it's current owner and provides plenty of room for the extended family to visit. 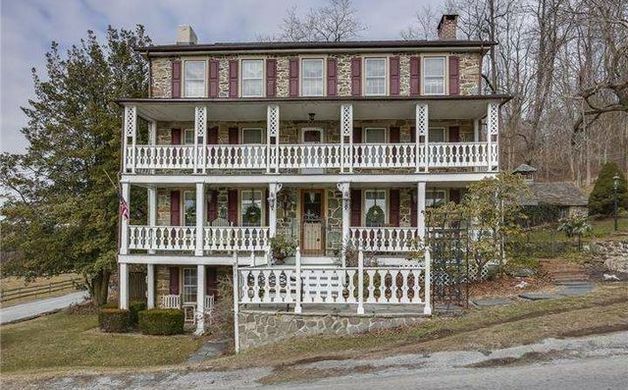 Built in 1800, the house has seven bedrooms, three and a half bathrooms and a three-car garage. 7. 235 White Oak Drive, Oxford($334,900) - Well established Colonial in desired Twin Ponds has tons to offer. As you enter two-story foyer you are welcomed by open staircase over looking formal dining room and formal living room which lead to an office with French doors. 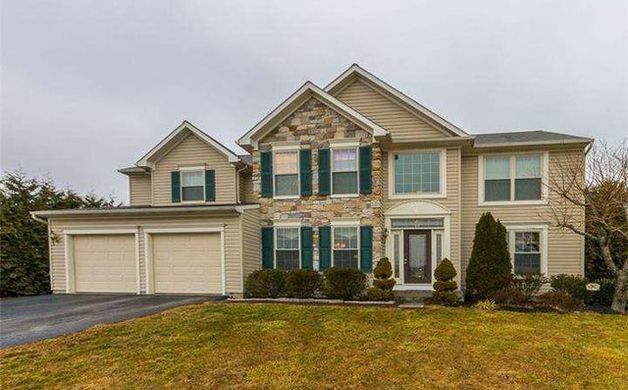 This home also offers two-story family room with gas fireplace. Spacious eat-in kitchen with an island. French Doors off of kitchen lead you to your own private backyard with in-ground heated, salt water pool, patio and shed. Second floor offers large master bedroom with master bathroom. Three additional generous size bedrooms with hall bathroom and separate laundry room. Just when you think it couldn't get any better.... complete finished basement. Full kitchen with stainless steel appliances, huge family room with gas fireplace, full bathroom and bonus room. Plenty of storage. Built in 2003. 8. 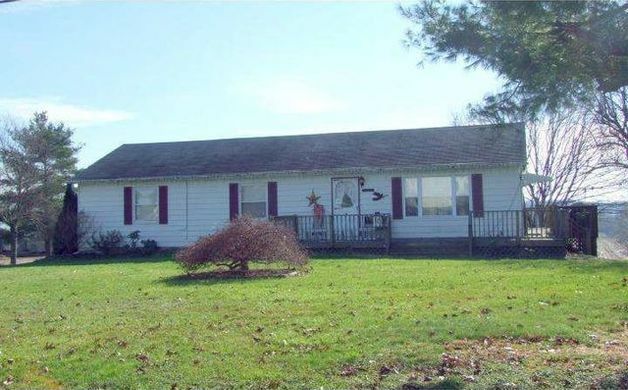 33 Pine Grove Road, Nottingham($425,000) - This 5+ acre home is close to Chester County but you will enjoy the low taxes of Lancaster County. 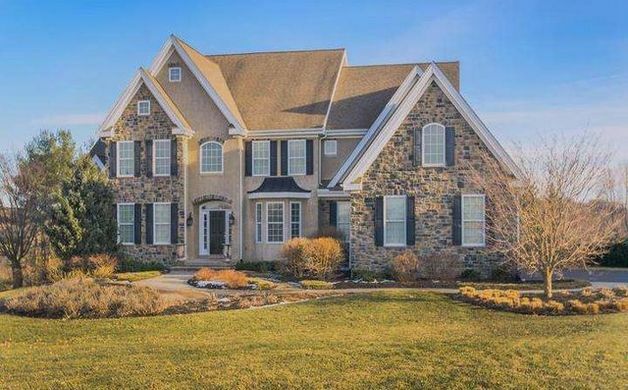 Features include a detached four-car garage, 15-tree orchard, new roof, new windows, custom kitchen, 3/4'' cherry hardwood floors, large stone fireplace, cold cellar, walk-in cedar closet and so much more. 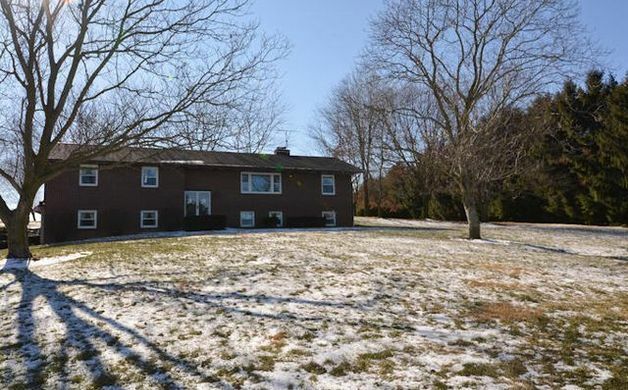 Built in 1976, there are four bedrooms and two and a half baths in this home. 9. 494 Springdale Road, Nottingham($279,900) - One level living. Brick Ranch on large meticulous lot. Three bedrooms on main level, rich hardwood flooring. Two full baths, gorgeous galley kitchen with granite counter tops, granite island, cherry cabinetry, stainless steel appliances. Opens to sunlight breakfast room and large walk-in pantry could fit second fridge/freezer and a washer and dryer. Only one step from garage to kitchen! Lower level teen/in-law suite, with full bath. Completely remodeled game room, two fireplaces. Awesome updated pool with pool house and LED lighting. Covered aggregate patio. 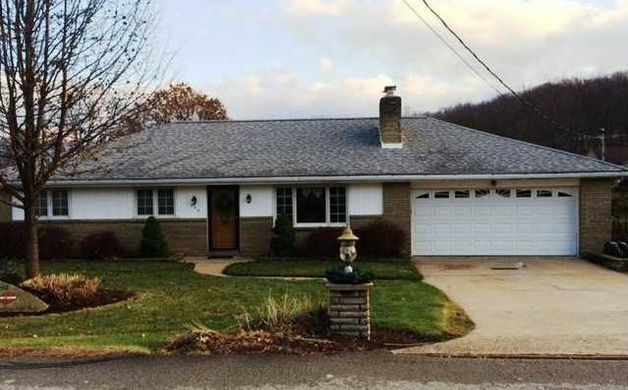 Built in 1955, features a two-car garage. 10. 11 Park Road, Nottingham ($199,900) - Raised Ranch on 1.5 +/-acres. Large country kitchen with wall oven. Master bedroom with full bath. Daylight walkout basement with family room and full bath. Wraparound deck. Built-in two-car garage and additional detached garage. Convenient to County Park and easy commute to MD, DE and US Route 1 Bypass. Taxes have not yet been determined for subdivision. Built in 1977.